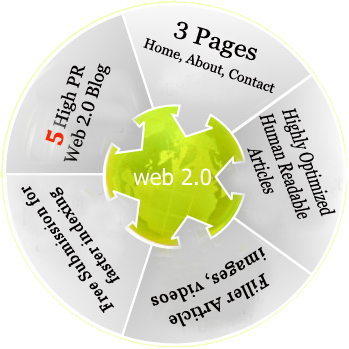 Are you looking for quality Web 2.0 with good content including related images? Or are you looking for good Blog Posts that look like guest blogging rather than the normal blog posts with simple layout? If yes, let us take care for you with quality work of Super Web 2.0 Blog. A web 2.0 becomes “super” when you make it more than one page and give it the appearance of a legitimate blog. These properties will stand the test of time because they are valuable to anyone who finds them and are not just being used to host one of your links. Every Web 2.0 Blog URL Contains The Target URL . For Example if your keyword is super web 2.0 , then the url should be superweb2.0.wordpress.com or gosuperweb2.0.wordpress.com. But if the exact match subdomain is available, I will generally go with that. Every Web 2.0 Blog Contains 1 300+ Article Post related your niche keyword and that contains your main site url link. Every Post contains relevant images. Every Web2.0 blog contains 2-3 filler content (Embedded YouTube video or Info graphics) related to your niche. Every Post will be interlinking each others and also have a high authority site link. Use Super Advance Spun Article that 70-95% Unique and Human readable and Only English Language. Deciding what type of anchor text to use on this web 2.0s is up to you. I generally try to create 10 of these properties so that I can delegate the anchor text appropriately. Exact match anchors 15%, brand name anchors 30%, URL variations 15%, partial match or LSI 20%, and generic 20%. I am using the above because Google can understand the relevancy of a link without needing an exact match anchor. As long as your article is super relevant and you have followed the steps above, Google will recognize the relevancy and reward you for it without having to blast exact match anchors. Boost your Ranking with Super Web 2.0 Backlink is ranked 5 out of 5. Based on 1 user reviews.